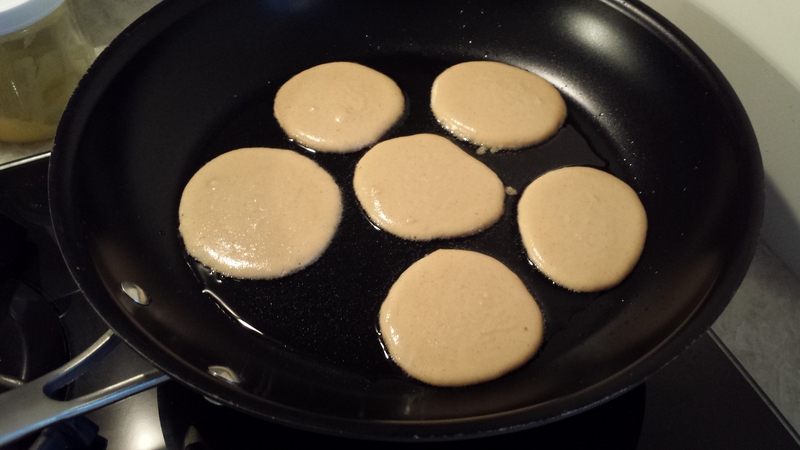 I sifted through about a gagillion different Paleo pancake recipes. Many use banana, which is a no-no for Monkey Man. He hates them. There are quite a few recipes with sweet potato or pumpkin, but some of them are just too eggy for my liking. I want a pancake that tastes AND texturally feels like a pancake. I was super excited when I came across this post by Gluten Free on a Shoestring. This recipe will make about 30 small pancakes. Place the ingredients in the order listed into the blender and mix well. It will blend better on a low blender setting like “stir”. 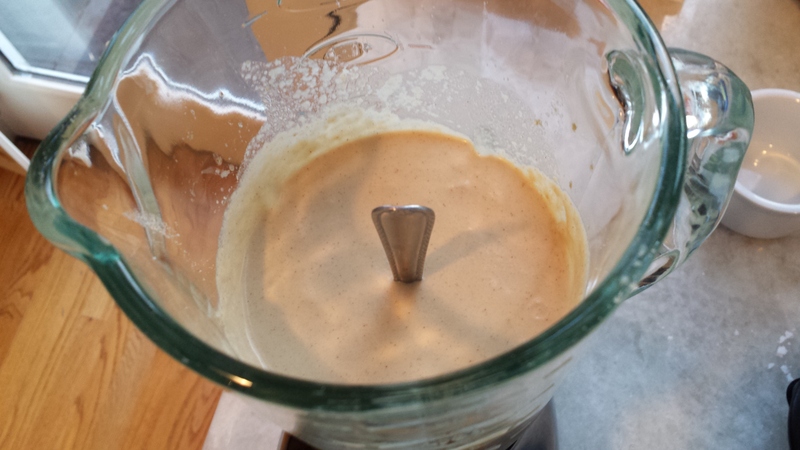 The batter is thick – I could actually stand up a spoon in it! 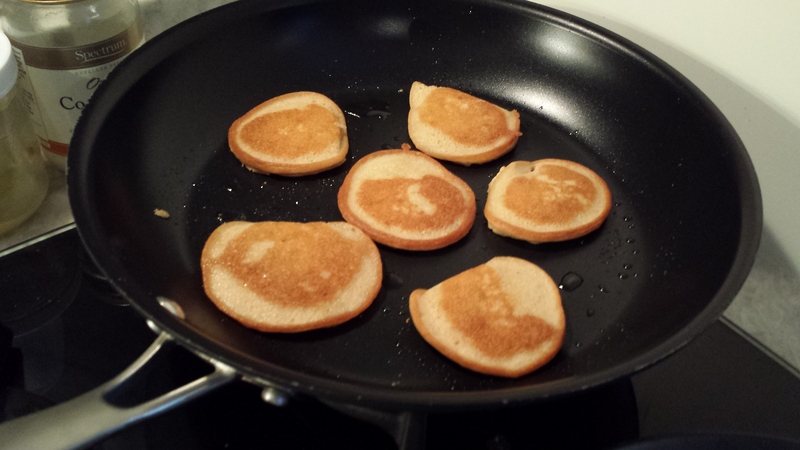 Add a spoonful of batter for each pancake. Be sure not to crowd the pan or griddle. 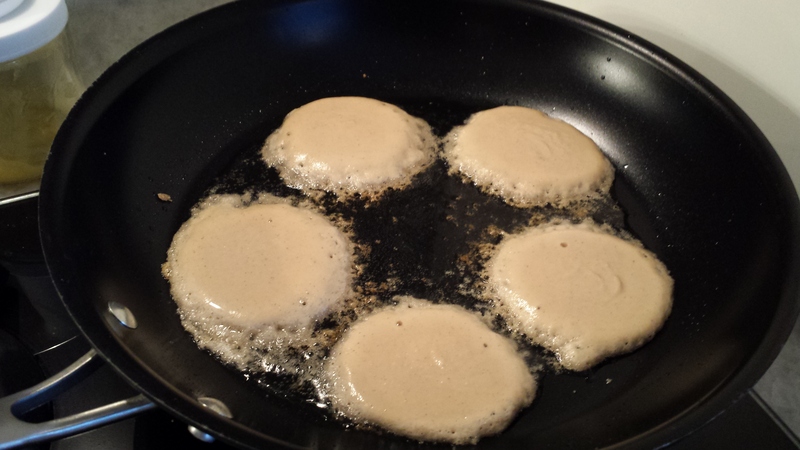 Cook the pancakes on med-low heat until they start to bubble. You might also notice that the edges are a little brown. Then carefully flip! They’ll take another one to two minutes to cook – check the bottom, it should be golden. Set aside on a plate. If you want to keep them warm while you continue making pancakes, put the plate in the microwave (and close the door) or in an oven on low heat (170-200 degrees F). Here’s what happens if the pan or griddle is too hot…. The edges get all funky. To prevent this, I pulled the pan off of the heat in between batches before I spooned the batter into it. 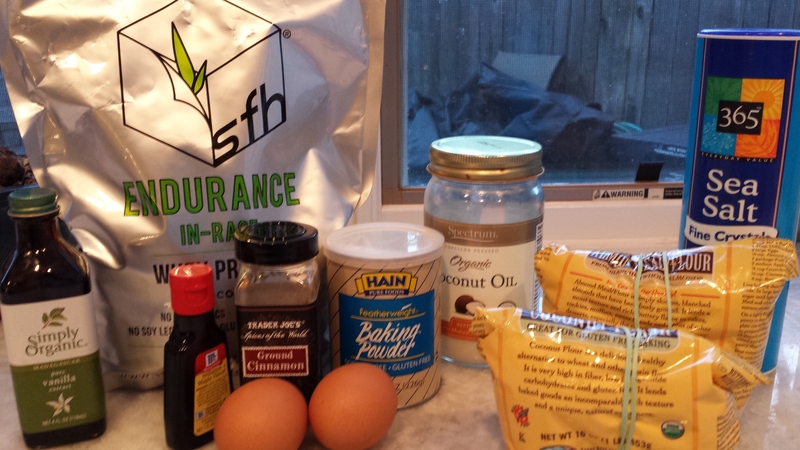 This entry was posted in breakfast and tagged gluten free, maple, paleo, pancake, whey protein. Bookmark the permalink.